2 How does SR9009 work? 3 What Benefits Does SR9009 Have? 8 Where to Buy Authentic SR9009? The mechanism behind SR9009 is quite difficult. 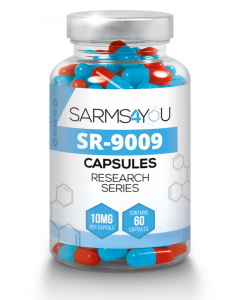 Before I explain to you how this compound works, SR9009 is not a SARM. Even though it’s often promoted as a Selective androgen receptor modulator (SARM), it’s actually a REV-ERB. 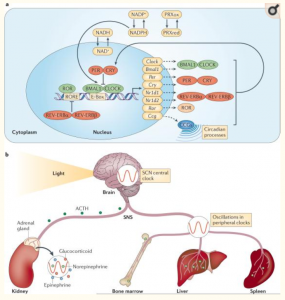 The human body functions according to what’s known as the circadian rhythm. This rhythm basically refers to a series of patterns that our physical system goes through in a 24-hour period, which occur in synchronicity with the rise and fall of the sun. There’s a loop mechanism that’s responsible for sustaining the circadian rhythm, and this mechanism works by turning your genes on and off. So, for example, PER and CRY are turned on when the CLOCK and BMAL1 genes are activated. PER and CRY are also able to turn off the BMAL1 and CLOCK before the 24-hour cycle resets. 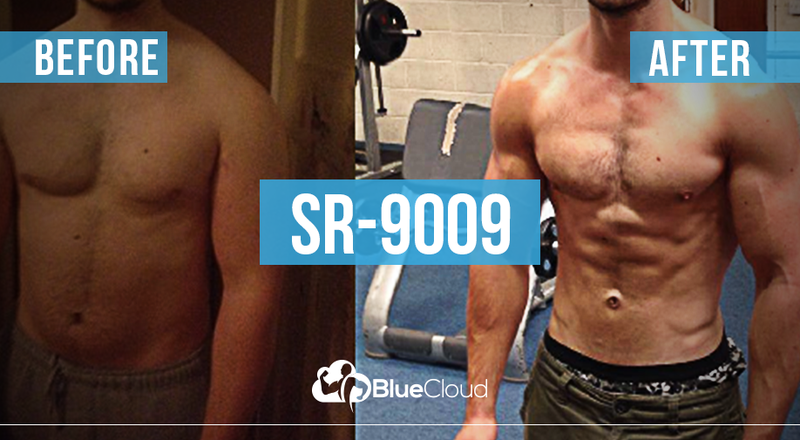 SR9009, also known as Stenabolic was developed for the sole purpose of understanding the body’s circadian rhythm. During research on animals, it was discovered that SR9009 has been shown to have very promising results. In animal studies, SR9009 was able to reduce anxiety while improving endurance levels and reducing inflammation, weight gain and cholesterol levels. If the same benefits were to be replicated in humans, they would basically mimic the same health-improving effects that workouts have on us. The thing is that SR9009 hasn’t been clinically tested on humans yet so there’s no telling what its side-effects would be, so it’s very concerning to learn that it’s already available for purchase online as a research chemical. Again, the research done on mice shows that Stenabolic increases the activity of REV-ERBs, which are also known as agonists that increase the bioavailability of nutrients in the body. Basically, REV-ERBs are proteins that turn off BMAL1 to restore balance to the body’s internal clock. However, in order for them to work, the heme group has to turn them on, and heme is a tiny compound that’s pervasive throughout the whole body and mainly contains iron. The only downside to this is that there’s no real evidence to indicate what the long-term effects of Stenabolic would be on humans. There is also literally zero knowledge on what the side-effects are. Thanks to its ability to affect REV-ERBA (NR1D1, NR1D2) in the body, SR9009 exhibits numerous health benefits. Based on research done on mice, REV-ERB influences the activity of circadian rhythms through the suppression of BMAL1 to modify the sleeping patterns and the overall activity. In addition, REV-ERB has also been shown to influence several other aspects of energy production. Liver: Of the 900 genes that are controlled by a mouse’s circadian rhythm, about 90% can be affected by REV-ERB. Once it starts working, this compound deactivates glucose-producing genes while leaving insulin sensitivity intact. At the same time, it diminishes the body’s inflammatory response while activating the creation of new fat cells. Muscles: REV-ERB automatically boosts mitochondria activity while simultaneously decreasing old mitochondria damage. This process effectively accelerates fat burning. Fat Cells: REV-ERB can also deactivate fat-storing genes, which in turn diminishes the production of triglycerides. What Benefits Does SR9009 Have? SR9009 has the ability to affect weight loss without augmenting the diet, according to a 7-day study on mice. It also has been shown to reduce the amount of cholesterol, triglycerides, insulin and free fatty acids shown in diet-induced obese mice. Whereas, genetically obese mice stopped gaining weight within 12 days of being injected with this compound and all without their insulin tolerance or glucose levels being affected. Mice that were given SR9009 for 7 to 10 days had significantly reduced cholesterol and triglyceride levels. Another study fed a high cholesterol diet to genetically modified mice to mimic a human-like fat profile and found that after consuming it for 8 weeks, these mice saw reduced LDL, triglyceride and cholesterol levels. However, it’s important to note that their HDL cholesterol levels remained the same. Stenabolic has been shown to increase the overall amount of active mitochondria in mice, thus improving their endurance levels considerably. Thanks to its ability to reduce TNF-alpha production in rats, it has also been shown to reduce lung inflammation, as well as the production of inflammation molecules in their nerve cells. Researchers know that genetically modified mice have the tendency to exhibit hardened arteries. That’s why these mice were given SR9009 for 7 weeks, and the result was significantly reduced blood vessel lesions. Mice that received SR9009 injections for 28 days had better functioning hearts than their counterparts who didn’t get any injection. 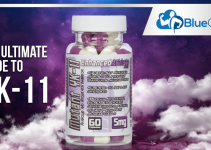 Because this compound is able to activate REV-ERB, it has the ability to affect sleeping and waking patterns as shown in mice, even though for only a short period of time (12 hours). Conversely, injecting stenabolic into the mice while it was daylight led to reduced REM or deep sleep, as well as increased energy levels when they were supposed to be asleep. Mice that had SR9009 injected into them at night (when they were supposed to be awake), showed no signs of being affected whatsoever. This has led researchers to conclude that stenabolic may help humans stay awake at night for studying, working night shifts or traveling. Injecting SR9009 into mice twice per day for up to 10 days showed such reduced anxiety levels that its effects were similar to those of benzodiazepine. Research has shown that Mice with scarred livers experienced fast tissue recovery after taking it for 2 weeks. 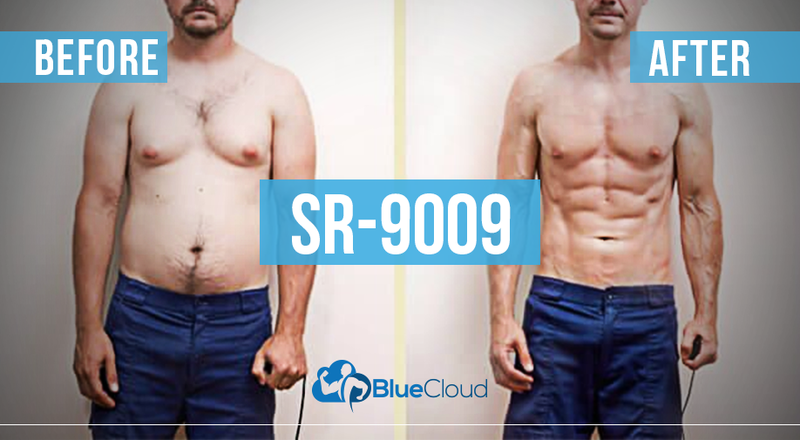 There are currently no known side effects of SR9009. Mice research results don’t indicate any signs of liver toxicity, but some have reported cases of insomnia. It does not interfere with your body’s natural hormones so there won’t be any suppression. This means you won’t require any PCT as with MK677 and Cardarine. Those already using a steroid such as Trenbolone can just add it to their existing stack or use it on its own as they prefer. Current data shows that it mixes seamlessly with other steroids without leading to any side-effects. It has no hormonal properties, which means it won’t cause anything to shut down or lead to undesirable side effects like excess estrogen. You also won’t have to worry about using a PCT because SR9009 does not interfere with your hormone production. It’s often recommended to cycle SR9009 for 8 weeks off and 8 weeks on so that the body doesn’t get too used to it. If you follow this protocol, it’s guaranteed that you will keep making results. Users are also advised to take it along with a liver supplement just to be on the safe side, although it hasn’t been shown to have any adverse effects on the liver. It’s also advised that you take SR9009 only in dosages of 20 to 30 mg per day while making sure to listen to your body throughout. If you haven’t experimented with Stenabolic before you could start out with a lower dosage of 10 to 20mg a day. Just keep in mind that this compound has a very short half-life of 4 hours, which means that you’ll have to space out that daily dosage to maintain stability. It’s very important to do so because you want to get the best out of your Stenabolic cycle. This would mean taking 5 mg every 4 hours in order to get the most out of it if you’re getting 20 mg a day. Stenabolic is very effective when it comes down to burning fat. It’s often used to speed up fat loss progress and is known to give great results. Seriously, you can’t compare this to any type of fat burner available. The mechanisms behind Stenabolic are one of a kind. This compound helped me get rid of the last bit of fat I had on my body within no time. Even when I wasn’t working out or doing cardio I felt like my body was constantly burning fat. The results I ended up getting from Sr9009 were amazing. Check out what other users had to say about their results. Stenabolic is very potent. It gave me great energy throughout the day and it significantly helped speed up my fat loss progress. I also noticed that my recovery during my workouts greatly improved. If you are looking to get the best results with Stenabolic you definitely need to have a high protein diet as well as a good workout program. Also, make sure to purchase your research chemicals from a reputable source, it’s very important that you actually receive real SARMs. A lot of people rightfully compare Stenabolic vs Cardarine (GW501516) because they’re so similar. Both have positive effects on both endurance and fat loss. The main difference when it comes down to Stenabolic vs Cardarine is that Cardarine has a very long half-life of 24 hours, which is a world apart from Stenabolic’s 4 hours. As a result, most individuals prefer to use Stenabolic as a pre-workout in order to boost endurance levels while promoting fat loss, while Cardarine is used to prolong that endurance and fat burning activity for the whole day. Having used both Stenabolic and Cardarine, I’d say they are pretty much equal. Both gave me great progress when it came down to losing fat and improving my endurance. Some people will even stack SARMs. A good example is Stenabolic, Cardarine, and Ostarine together in order to get optimal results. If you would use Stenabolic for muscle gaining purposes you should have a look at LGD-4033, its a real potent SARM for gaining lean muscle mass. Where to Buy Authentic SR9009? 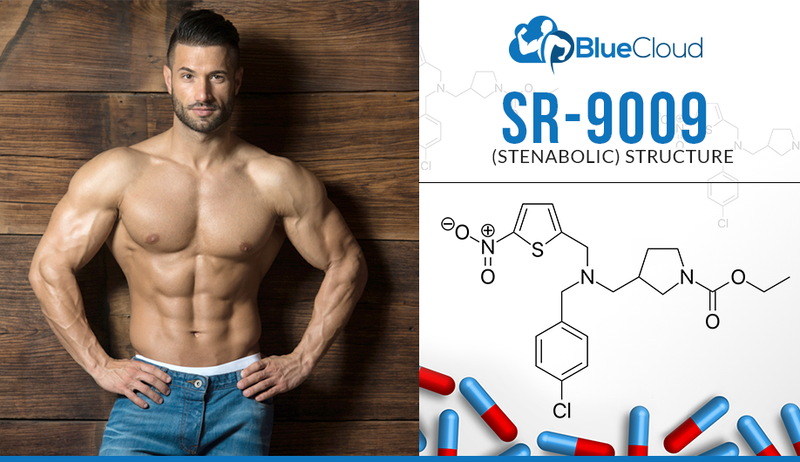 When shopping for SR9009 it’s important to realize that there are thousands of merchants out there that are selling counterfeit products, with some even containing banned steroids and/or hormones. 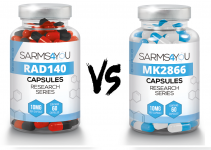 That’s why you need to purchase only from reputable vendors like SARMS4YOU, which is known for being a reliable supplier of Stenabolic and other SARMs. Very useful article about SR9009, really liked how you put all the studies in and showed real data. One question: Do you think SR9011 is better in terms of inhibiting Rev-ErbAα?